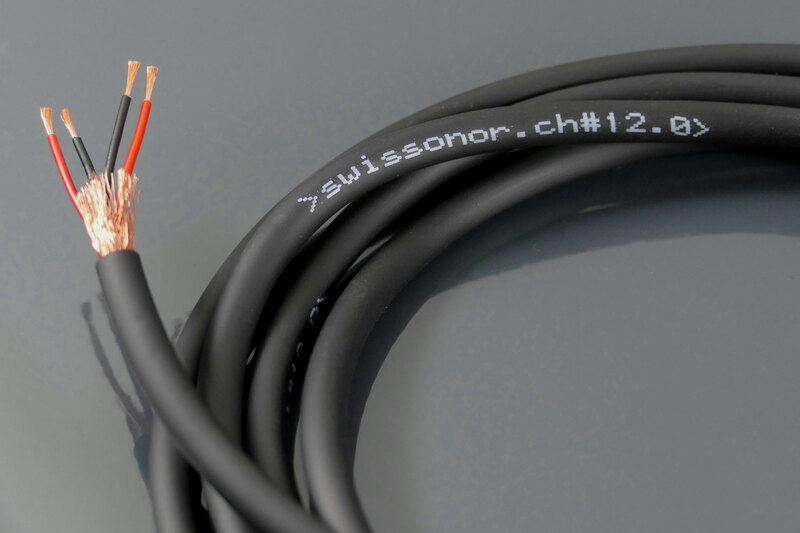 SWISSONOR high-definition speaker-cables, made in Switzerland ! 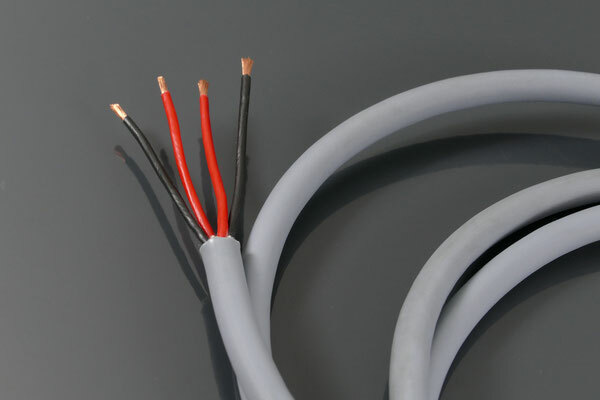 Quad-coupled amplifier-to-speaker connection in quad configuration, based on "soft air technology". Lengths of up to 12 meters are possible without loss of dynamics, spaciousness and detail reproduction. 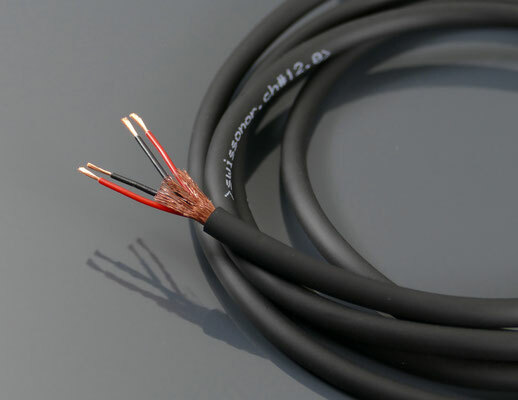 SWISSONOR cables are not available as Shop-products, please place your order or your inquiry by email. 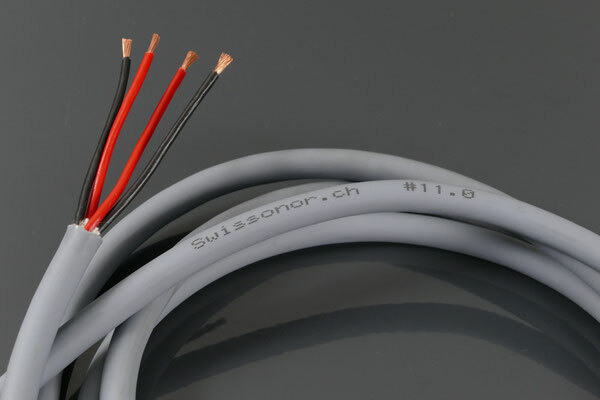 SWISSONOR high-definition Phono/Line cable, made in Switzerland ! 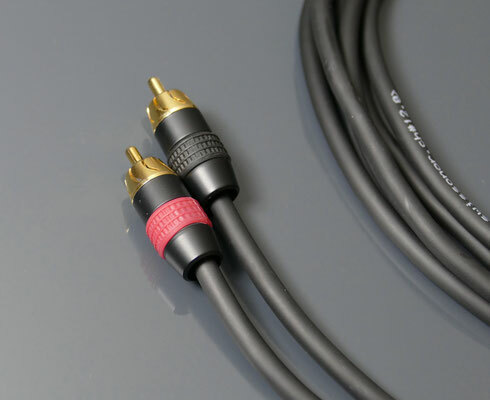 Connection of tone arm to a preamp or as line cable, this product combines the "quad configuration" with a separate electromagnetic shield. Lengths of up to 6 meters are possible, without any loss of sound-quality. 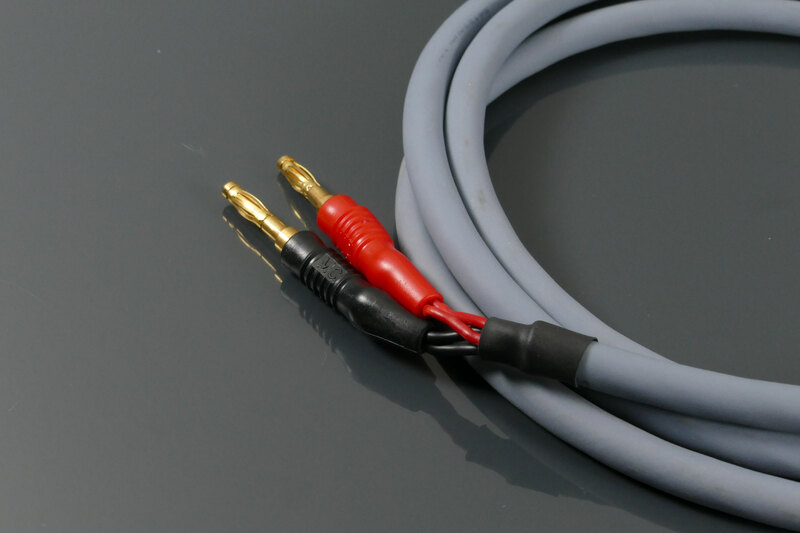 Optionally available with Neutrik RCA plugs in pseudo-symmetric configuration or with Neutrik XLR plugs in symmetrical configuration.